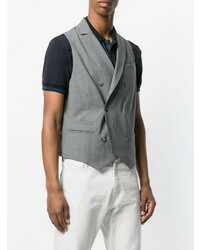 For a nothing less than incredibly stylish getup, pair an Eleventy double breasted waistcoat from farfetch.com with black dress pants. 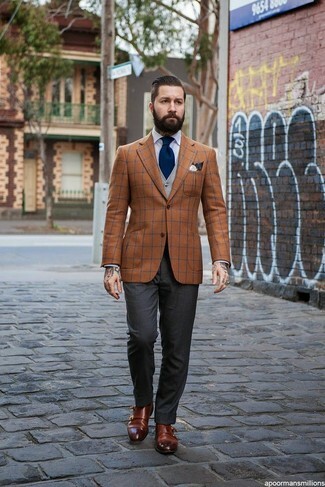 Look at how well this outfit is complemented with brown leather oxford shoes. 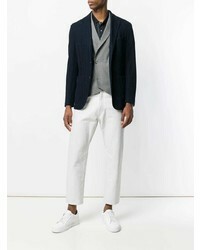 For a nothing less than incredibly stylish outfit, rock a grey waistcoat with charcoal vertical striped dress pants. 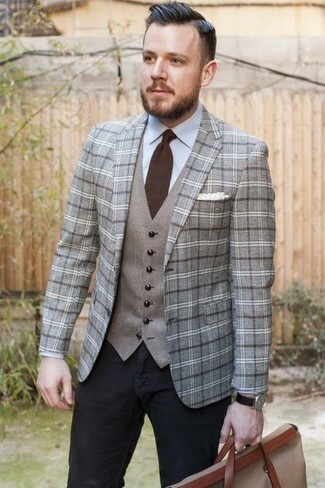 Choose an Eleventy double breasted waistcoat and black jeans for a sharp, fashionable look. Reach for an Eleventy double breasted waistcoat and grey dress pants for a classic and refined silhouette. 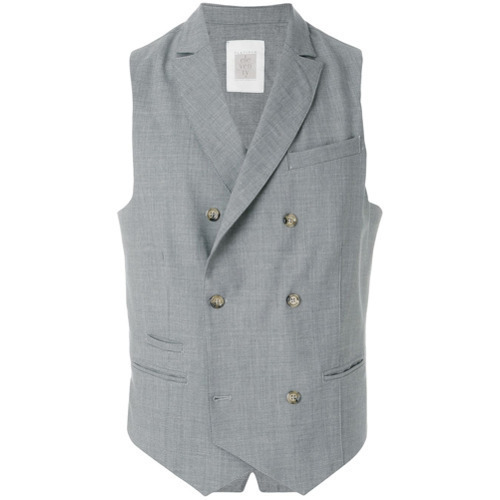 Consider teaming a grey waistcoat with a beige suit for a classic and refined silhouette. Dark brown leather brogues will deliver a more relaxed feel to your outfit. 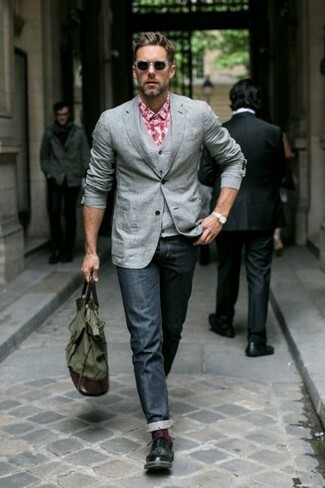 For a nothing less than incredibly stylish outfit, consider teaming a grey waistcoat with navy jeans. Tap into some David Gandy dapperness and complete your outfit with black leather oxford shoes. 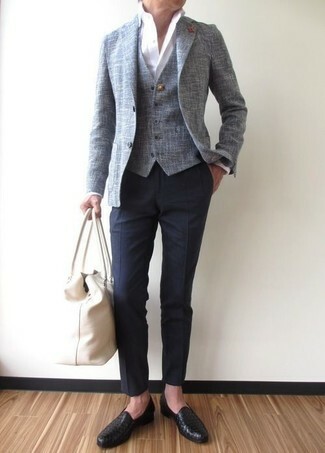 For a nothing less than incredibly stylish outfit, consider wearing an Eleventy double breasted waistcoat and navy dress pants. Make your ensemble more fun by rounding off with black leather loafers. 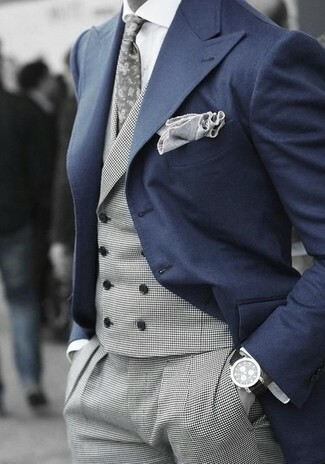 Make an Eleventy double breasted waistcoat and charcoal dress pants your outfit choice for a sharp classy look. Rock a pair of dark brown leather double monks to make the getup current. 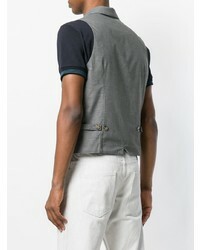 An Eleventy double breasted waistcoat and navy print chinos is a greatpairing for you to try. Take a classic approach with the footwear and make grey leather oxford shoes your footwear choice.